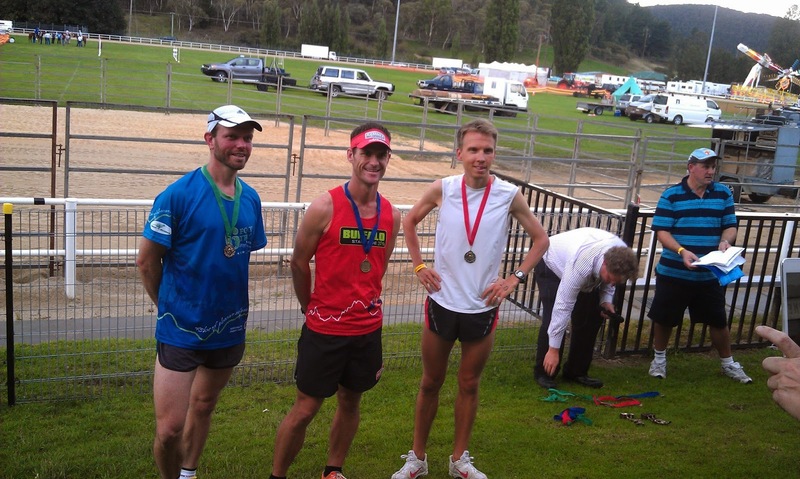 Saturday was my first run in the local mountain run, the King of the Mountain at Lithgow. 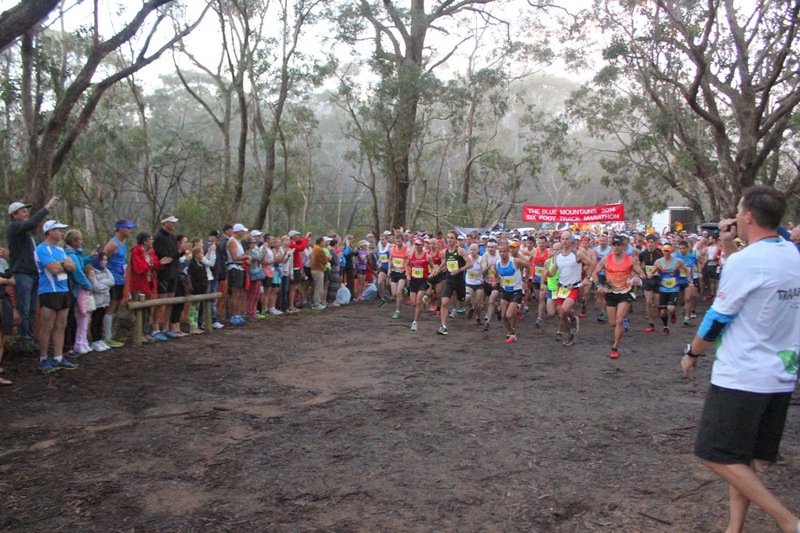 It is a time-honoured event that has been re-entered into the Lithgow Show schedule for the past 5 or so years after an annual running throughout the middle of last century. Listed as 4.2km (but in reality more like 3km) out and back running up Scotsman Hill and back down again, incorporating a loop of the showground, this is a real leg burner! So I turned up to the show with Kel and the boys and we had a bit of time to take in the rides, wood chopping, lawn mower races and so on. The race started at 4.30pm and there were some ominous clouds looming on the horizon and a small crowd of runners began assembling. I could see a few that may have been a threat, last years winner who ran 5hrs at Six Foot and a lean and fast looking chap with an accent, yep there is always one! So we mustered in the middle of the showground ready to go. We were given some rough directions and ready, set, go - we were away. I led off from the start taking the lead onto the path that led out from the showground, at this point I was closely followed by another runner and we were weaving through the crowd at a fair clip. We left the showground and I caught my first glimpse of the other runner, it was the lean looking guy from Europe and we ran side by side down the path towards the footbridge and the base of the hill. I entered the hill just in front. On the ascent we moved away from the field quickly. After around 300m of climbing he passed me, this wasn’t a major issue as there was a large portion of the hill to climb. The track was very steep (between 30-45% gradient) and washed out in sections, it was quite technical and I was paying attention to the terrain as I planned to attack this section on the return. He had only moved 5-10 metres away from me and when we reached the beginning of the firetrail I was happy to remain in close contact with him. We began running freely again but it was becoming more apparent with each step we took we had gone too far. We exchanged some conversation and decided to push on hoping the marshal who we were told would turn us around would come into sight soon. After the trig point and 2.2km we finally met him, he turned us around and told us we had gone too far! 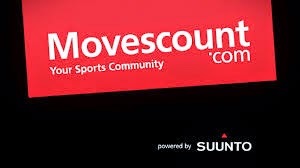 We had all but given up on the result, surely the local runners would have turned at the normal point! They didn’t… after around 300m we came back into the rest of the field. A quick look and it was back on again! He quickly accelerated on the downhill section of firetrail, gaining around 20-30 metres in no time at all. I had to work hard to catch up and when we hit the steep single-track head he slowed with caution allowing me to move up behind him. I knew I had to move here or he would take me apart on the flat, it was becoming more obvious this guy could run (I was thinking track). After 45 sec or so there was a small fork in the trail around a big hole and it was here that I made my move. I charged to the left and turned the power on passing him in a safe and sporting manner, there is nothing worse than someone pushing past on a steep and dangerous descent. Once past I pinned back my ears and opened up allowing gravity to do its job, I basically fell off the hill, smashing the downhill that at times was 45% in gradient! I knew I had pulled away as I couldn’t hear him anymore and I kept pushing down as quickly as possible aiming at setting up the win. When I came off the hill it was about a km to go and all flat. I pushed along the path back into the showground feeling as though I had done enough on the drop for the win. After entering the trotting track I took a quick look back and he wasn’t in sight, but the announcement said he was!? I looked again and he was there!!! His white shirt had blended into the track and he was flying. I had to kick and kick hard, the last 500m hurt like nothing else (just what I wanted a 400m rep after a threshold hill climb). When I turned back onto the grass I had maintained my 150m gap and he appeared to concede that he wouldn’t catch me, but I still kept the hammer down. I crossed the line in 1st place and knackered. It took 21:37 and we ended up running 4.5km with 200m of climbing. I calculated we ran over by around 1.6km or around 7-8min extra putting us in at around 14min and that is still 2min off the record, which I’ll be back for a shot at next year. I was happy with the race, it went to plan, I ran the way I wanted to and got an almighty battle along the way, which was great. I enjoyed the challenge and it was nice to get a win up, hopefully there will be more to come. 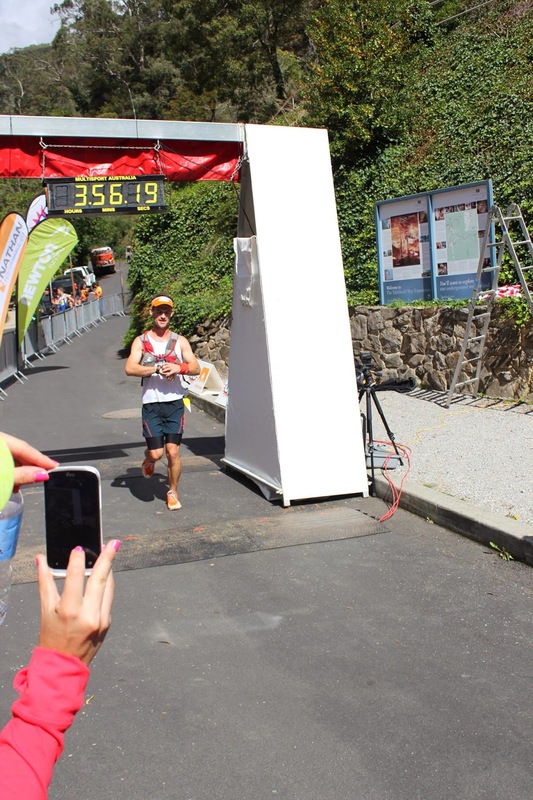 It turns out that the European guy was Finnish, his name is Jossi Utrianien and he was traveling through town and heard about the race and decided to have a run with his wife, she also came in second. He was a nice guy who said he wasn’t running seriously anymore just a daily run to keep fit. Well after looking into his career it turns out not only is he a great runner but super humble as well. 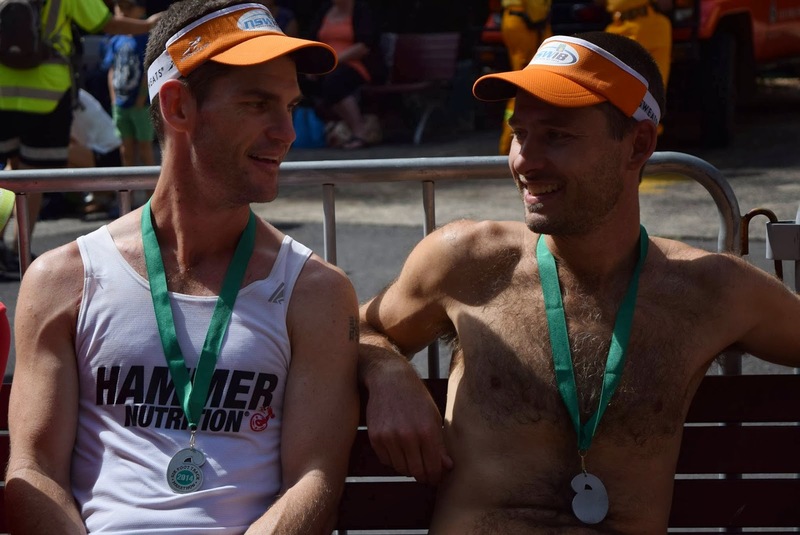 No mention of his marathon pb of 2:13, no mention of his 2002 City to Surf victory and not a whisper of running 69th at the London Olympics in the marathon! Wow, what a runner, no wonder he made so much ground up on the flat, I am lucky the track ended when it did! He asked about my running and my Buffalo Stampede singlet but all in all he just seemed to enjoy the race and that was pretty awesome. It is good to see elites just mingle and run no matter their achievements or results, find a sport that has that. So that is that, I won a race officially, finally. 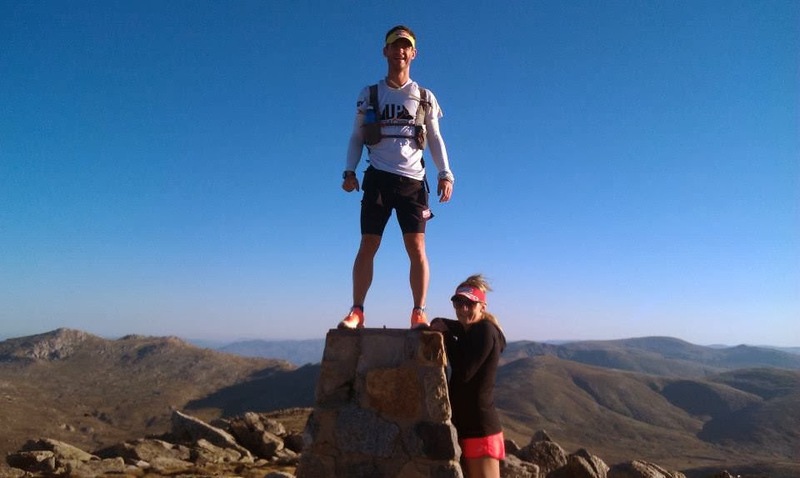 It was as much rewarding to win as it was to see where I am at ahead of Buffalo, my Skyrunning debut in the Ultra race, 75.5km with 4500m of up and down! 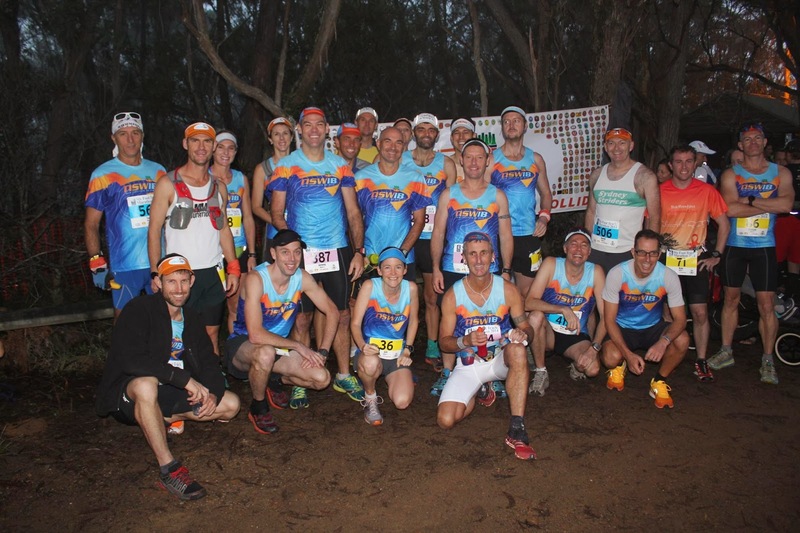 I can’t wait, partly to test myself against the course and the best runners in Australia and New Zealand and partly because the mountain ultra trail community will be together celebrating our first Skyrun event. 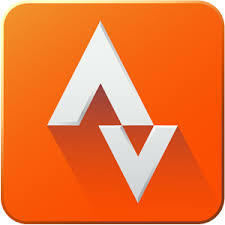 Shoes – Inov8 X-Talon 190; these made all the difference in my view, light and fast and grip like nothing else. Gel – One Hammer Banana Gel just before kick off, felt good throughout. 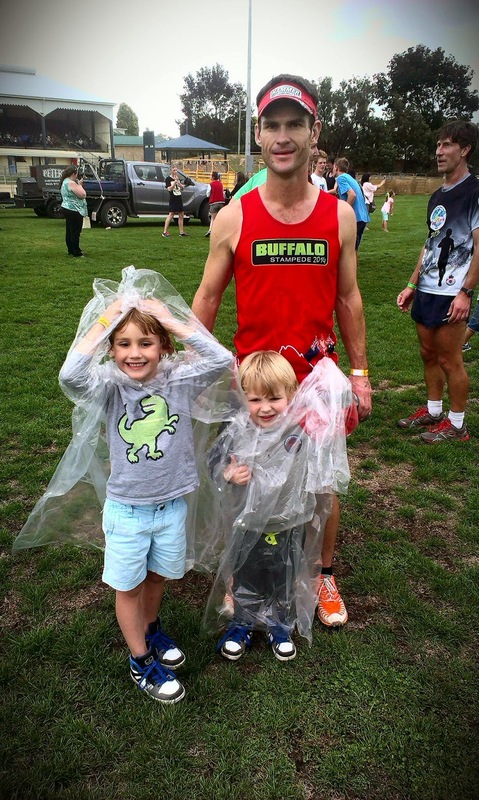 Clothes – Hammer Visor and shorts and the trusty Buffalo Stampede training singlet! Watch – Taped up Garmin Forerunner 610, I’m gonna need one that runs longer at Buffalo. 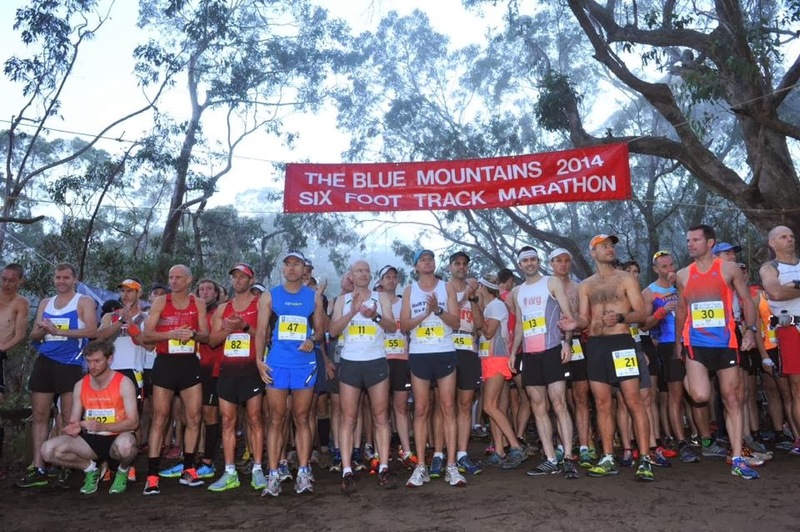 Yesterday was my 2nd outing in Australia’s biggest and most prestigious trail marathon the 6 Foot Track Marathon. In 2014 I felt I was ready on many different levels that I had not been in 2013. I had experienced it all before, the atmosphere, the build up, the track, the ups and downs and this had given me an idea of how I would stack up based on my training and form leading into the event. I had set a goal of 3:55-59, originally I was thinking low 3:50’s even sub 3:50 but I needed to change that based on where my fitness was at, I am a believer in setting tough yet achievable goals, rather than hopes or dreams. Just before the start, plenty of quick guys there! And we are off and away, careful does it this year for me. I had a plan, not to stress or worry, I didn’t even do a race plan, no elevation review, course notes or mental prep, just turn up on race day run to how I felt and how I wanted to perform. I have rules in long races over 30km, don’t race until the end, run to my ability, finish and back myself in tough times as they will pass. This was applied in 6 Foot by taking it easy down to river, building into the climbs and pushing on when I felt good in the closing stages. I tried not to race early, letting people go and avoiding the serious race mindset by trying to chat to those around me and taking in the race, as the views and trails are awesome and the support on the course is excellent. The trip to the top of Pluvio was uneventful. I ran within myself, I did lead with my right leg too much and had to nurse it a little as some pain developed in the hip, but mostly I was trying to be sociable and enjoy the run. I hit the river in 70 and the King of the Mountain split was 68 so I was doing well and feeling strong. I only walked maybe 500-700m all up on the climb and this was fairly quick as I have been training my hike in prep for The Buffalo Stampede next month. I was happy that I didn’t post an 8min km split all run! 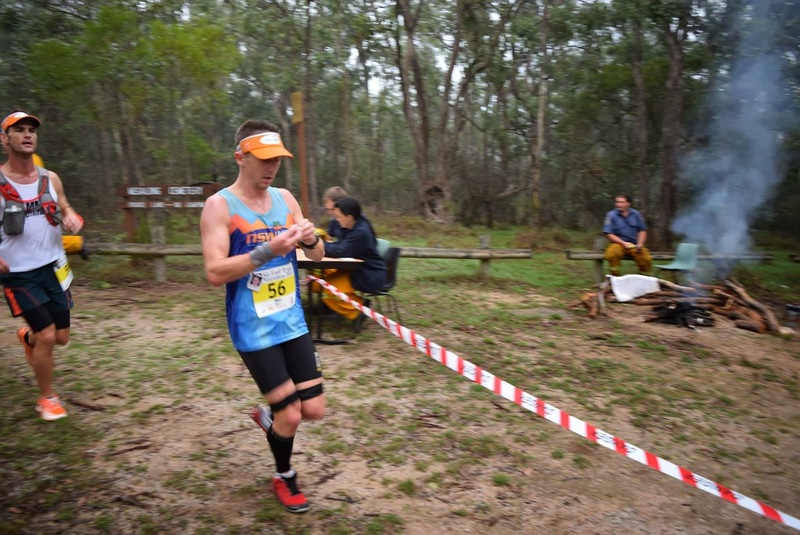 When I hit the timing mat at Pluvio I was 2:18 into the run with 19km to go, I knew a 1:42 would see me into goal time, I also knew how tough I had done it at this point last year. I ran off strongly early on the “Black Range”, then I slowed and had a moment, this passed and I was feeling ok coming into the Deviation. From here I went away from the guys I had been running around on the Range, Chris Turnbull had got out of sight just after Pluvio but I was now bringing him back and when I hit the road crossing I was ready get going. Megalong Rd - feeling good enjoying the run. It was here that I saw my bright orange X-Talon 190’s flash in front of my face! Yes I was horizontal about a metre in the air about to come crashing down on the slippery wooden bridge I foolishly had just tried to run across. Ouch, I got up and had a laugh and took off after Chris once again. I closed in on Chris and passed him with a sense that I was going to be able to bomb into the Caves in around 3:58/9. I just felt good so I let loose with about 5km to run, I opened my stride up and lent into the descent coming into the final few turns at 100 mile and hour. 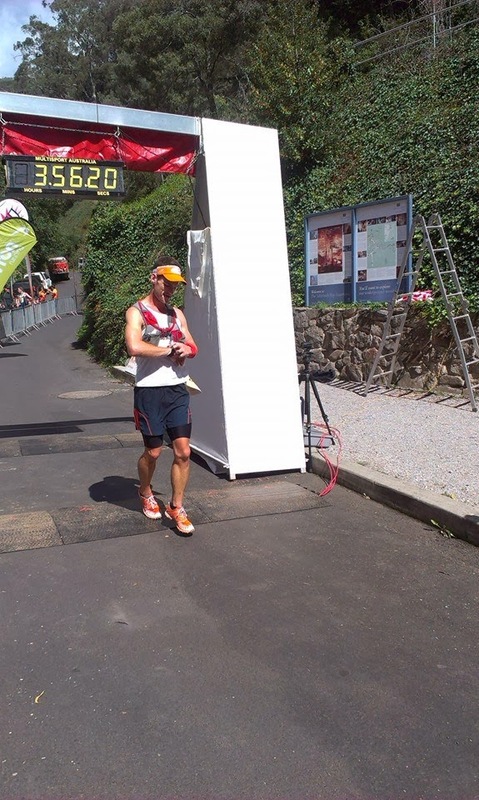 The finish, PB and 26th. When I could see the finish I knew I had my “A” goal and really enjoyed the moment. I hit the line in 3:56:14, 26th male home and 27th overall. I was greeted by Kel, who had missed this year due to injury. It was a rewarding feeling to finish off a race as planned and a real confidence (and hopefully fitness) boost before Buffalo in April. The time was a nice reward. The atmosphere at the end is amazing, all the runners get a mighty cheer on their journey to the finish and it was great to share stories and times with all those around. 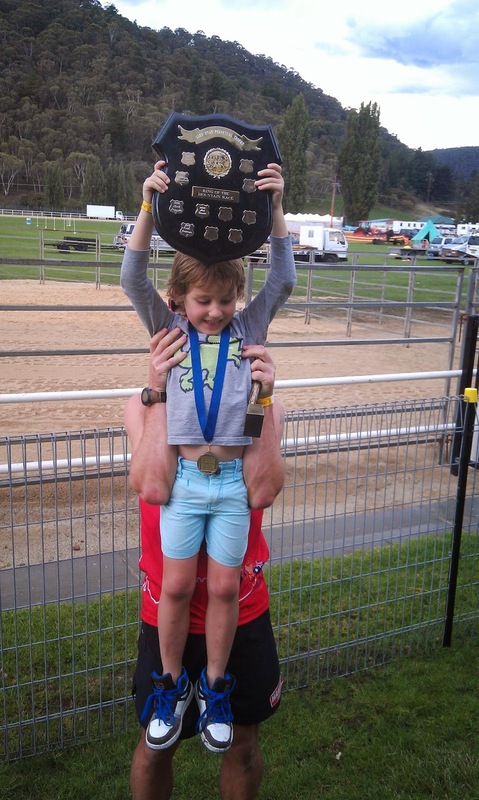 The NSWIB crew had a top day out, both men’s and women’s wins, all team prizes and a podium to boot. 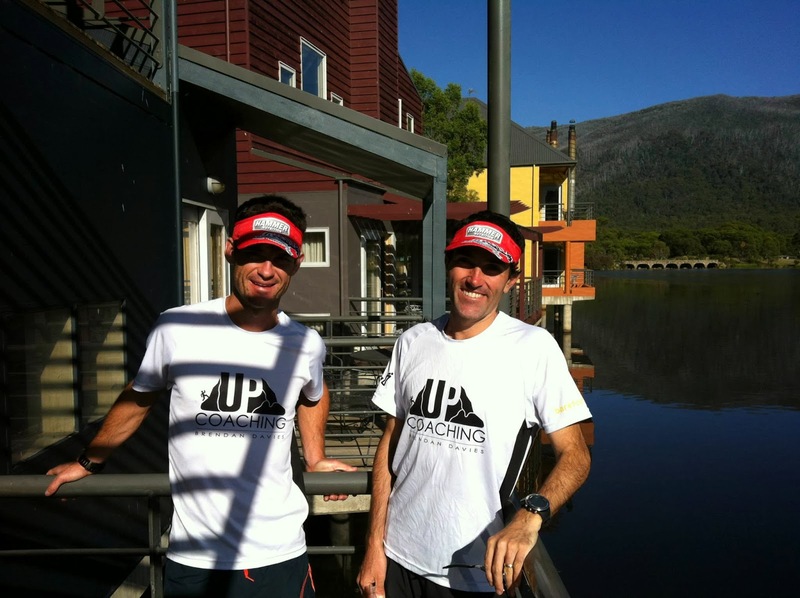 There were pb’s everywhere and it was great to see good mate Mark Lee run an elite level 3:37. As it turned out I came second in the Platinum Beer Bet Group, Kyle Hendry ran a super quick 3:59 to smash his 4:10 handicap and previous pb by a mile. Other runs that stood out were Amadaus Gladback in 3:41, Paul Twohill who ran 4:20, Alex Matthews who after a typicl slow start ran home so so fast in 3:28 for 3rd and obviously Dave winning in 3:25, not bad for a bloke who only decided to run mid last week! Post race with Mark Lee, he ran 3:37! Anyway it is now 4 weeks and counting till the big one. I am going to have a big 10 days from Tuesday and then it will be taper time. I am nervously awaiting this one, but my confidence is high that my plan to peak will come off over the April/May period, only time will tell. - Water between 900 - 1200ml for the race plus 2/3 cups of coke. - Recoverite after, then a beer or two! 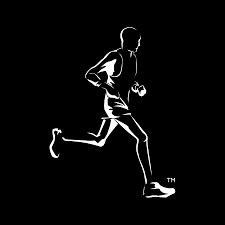 In just under a week I will run in my second 6 Foot Track Marathon. This will be a big race for me personally as I really want to run a pb time (sub 4:13:50) and my "A" goal for the race is 3:55-59. Although 6 Foot isn't my focus race for the year, it is a big race and when I run I will be putting in 100% to do my best and perform strongly. I have learnt a great deal from my previous visit on the trip from the Explorers Tree at Katoomba to the Caves at Jenolan, this will hopefully help come race day. 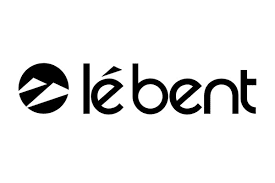 This year I am in the beer bet, running off a 4:05 handicap and part of the NSWIB team for the teams event, these aspects will add to the race and the only thing missing will be Kel running on the day as she has had to withdraw due to injury. My training has been going well of late, I have changed my phase recently and I am trying to develop speed and work at a higher threshold during my sessions. This has equated to quicker runs, more intervals, tempo runs and generally harder hill sessions. I have managed a few solid sessions that have shown a progression since last year at this point, but there have been a few indicators that I am not quite in form anaerobically but have developed greater endurance. My Orange marathon time was a couple of minutes slower than Mudgee last year but my splits were more even/consistent and I didn't fade as I did in Mudgee. This race allowed me to see where I am at and has given me a good point of base for future runs and races leading into Buffalo and TNF100. I am trying to maximise recovery while keeping a heavy load, which can be difficult and the post Orange recovery week was a guide for what next week will be like after 6 Foot. point with around 3.5km to go and having 5th closing in for a sprint finish. 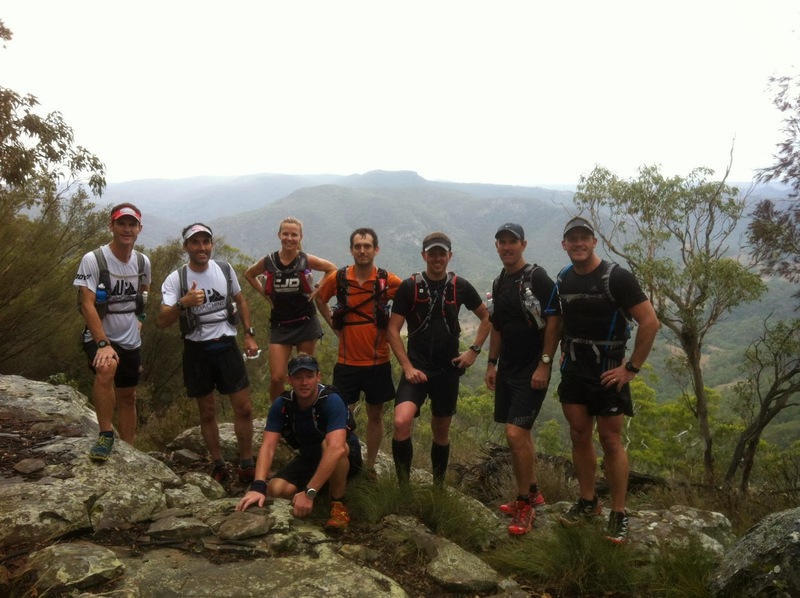 Helping Brendan with an UpCoaching TNF100 Sub 14hr training day. 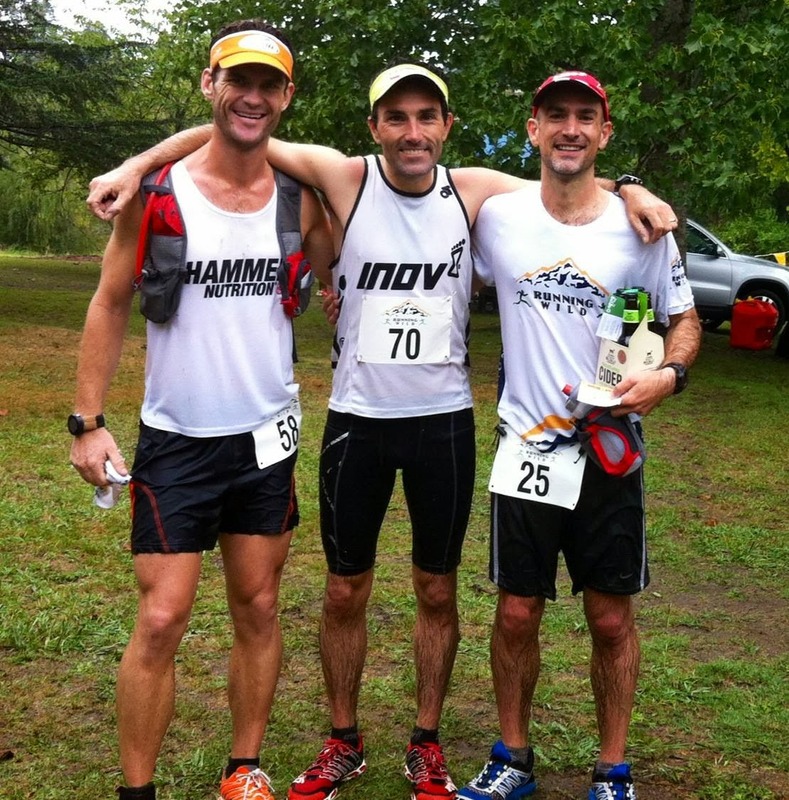 Running Wild 16km 2014 - Mens Podium Myself (2nd), Brendan (1st) and Ewan (3rd). 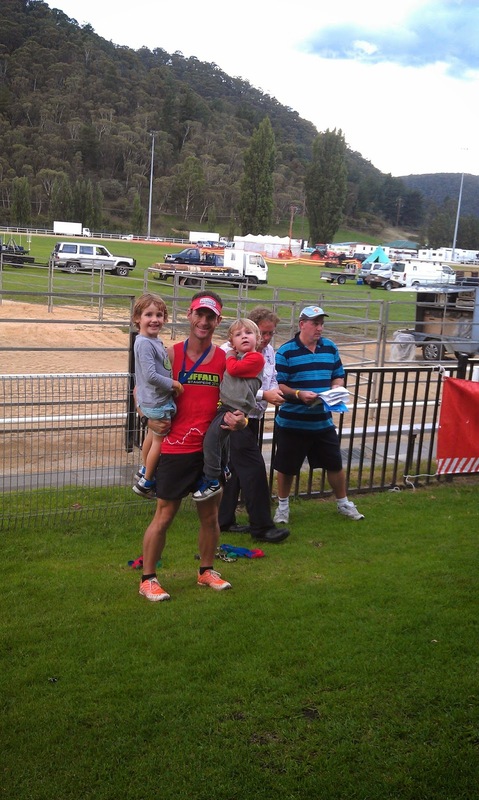 I managed a massive pb running 84min in the rain on a truly awesome course. 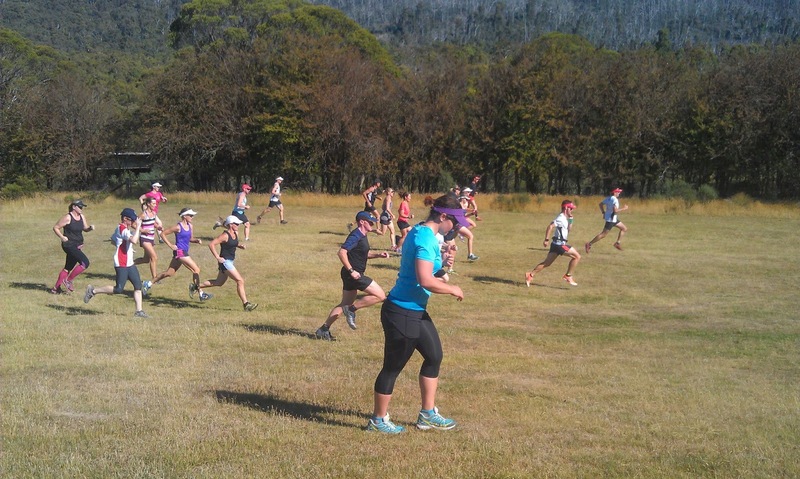 leading some running technique drills. with Kel as she battled up with only one leg working. I love the alpine trails. I have had it pretty good of late. Hopefully as the big races approach my performance can stack up and I can walk away satisfied with each race. I love running and have been lucky to be able to visit some awesome spots in Australia. 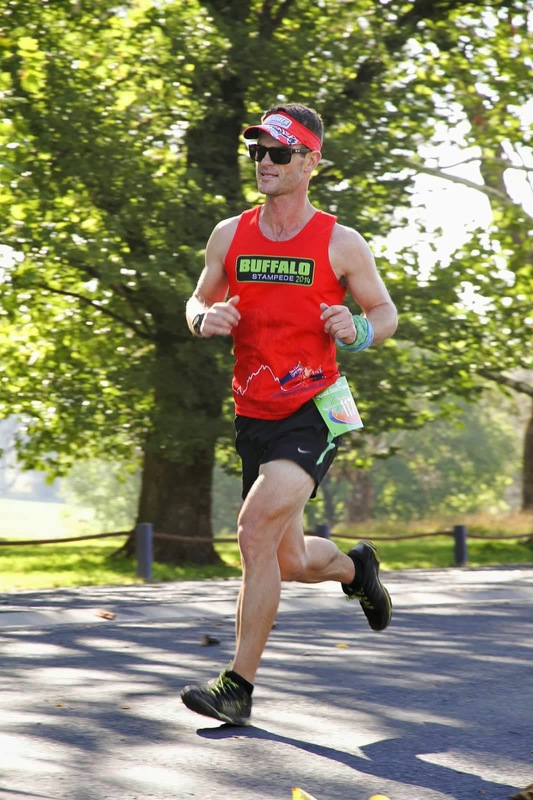 Next stop is 6 Foot then all roads to Bright and the Buffalo Stampede Ultra in April.